collar ideal for keeping cosy in winter. 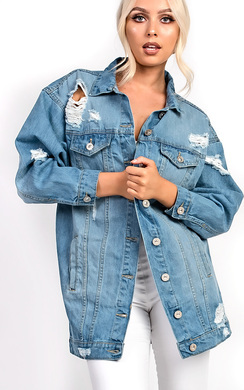 Here at IKRUSH, we love how classic denim jackets have been adapted over the years and unique ideas to reinvent the classic have trickled down from catwalk to high street, you really can get anything you desire. 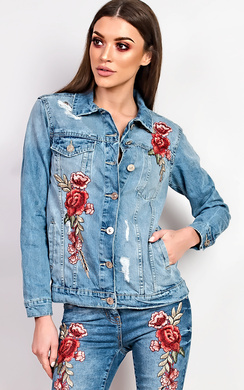 This could be ripped and distressed, to all over embellishment or a floral embroidery, denim jackets are here to stay, whatever your style may be! 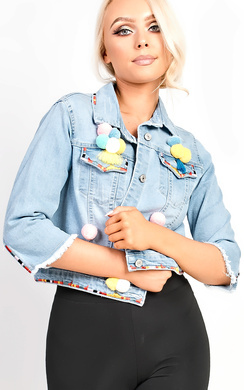 Our ‘Sorela’ is the perfect example of the cutest and most girly jacket you could ever imagine. 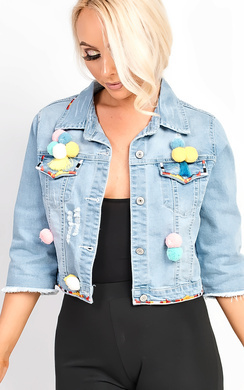 It features pastel coloured pom pom’s and coloured embroidered detailing along the hemlines. It is a cropped style, perfect for pairing with a basic tee for a casual yet cute outfit! 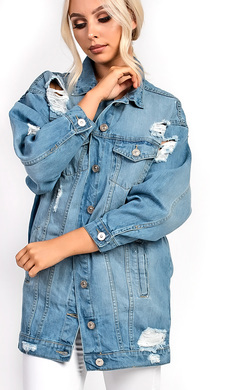 One of the most popular styles this year, is our oversized ‘Veriana’ denim jacket. This features distressed detailing and it is a longline length. 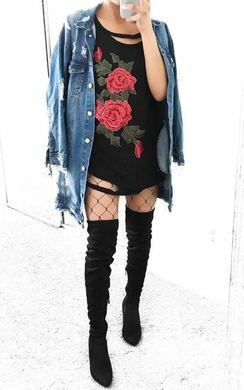 We see a lot of celebs rocking the oversized look, keeping it casual with leggings and a top or keeping it glam by wearing it with a little black dress and heels. If you are wanting something more grunge to wear with military boots such as our ‘Vivienne’, our ‘Merca’ is for you! 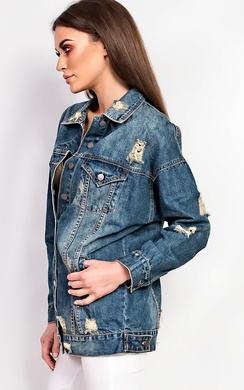 This oversized denim jacket is fierce as it features studded embellishment for an edgy look. 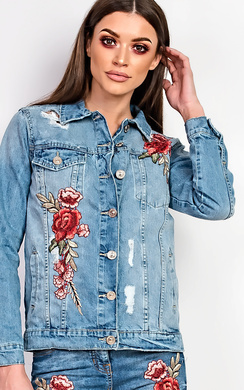 Lastly, but certainly not least, a classic acid wash denim with sequins, this is our ‘Sonya’ and it will add a little sparkle to your life, while remaining classic and subtle. Paired perfectly with little ankle boots , it will make any outfit look chic and classy!